For M.F.K. Fisher, one of America's most-read and best-loved food writers, wine was a passion nurtured during her time in France and, later, California. 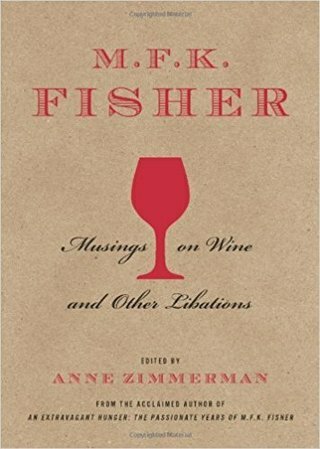 This anthology, edited and introduced by acclaimed biographer Anne Zimmerman, is the first ever to gather Fisher's finest writings on wine. In sparkling prose, Fisher reminisces about marvelous meals enjoyed and drinks savored. She describes the many memorable restaurants that welcomed and educated her. She waxes on the pleasures of rosé, sherry, chilled whites, and cocktails. Et bonne santé! A biography about the formative years of acclaimed food writer, M.F.K. Fisher. A collection of lesser known works by M.F.K. Fisher, collected and introduced by me. A collection of M.F.K. Fisher's writings about wine and other beverages, collected and introduced by me.